Caravan and motorhome sat navs are completely unique sat nav systems designed specifically when towing a caravan or behind the wheel of a motorhome. At the heart of these sat navs is the ability to input the length, width and weight of your vehicle, the sat navs preprogrammed database with then calculate the safe and best route - saving you time and money. 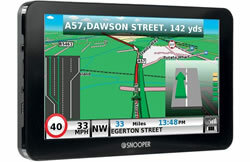 Below you'll find the latest 2019 systems available from ActiveGPS from the leading sat nav manufacturers. For further help on deciding the best caravan or motorhome sat nav to buy for your needs or maybe as a gift for somebody else, please see either our comparison tables, buyers guide or phone 01733 777623 (Mon-Fri 9:30am-5pm) outside of these hours please contact us. 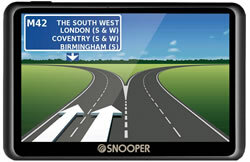 We've been selling caravan and motorhome sat navs since Snooper launched their first the Snooper Ventura S2000 in 2009 so we know all about them. View the truck sat nav comparison tables, see our buying guide or phone 01733 777623 (Mon-Fri 9:30am-5pm). Or e-mail us. Caravan and Motorhome satellite navigation systems are designed specifically for use when towing a caravan or driving a Motorhome throughout the UK and Europe. If you're driving a bus, large vehicle, truck and/or HGV and require a sat nav there is a separate range of truck sat navs and coach and bus sat navs. 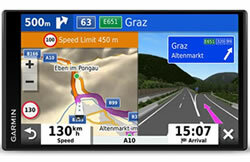 So what is the main difference between a truck sat nav and one designed for caravan and motorhome use? It's all in the Point of Interest (POI) database. Truck navigation systems include truck stops, while caravan and motorhome sat navs are preloaded with custom Points of Interest for caravans and motorhomes. In fact the caravan sat navs are loaded with over 20,000 POIs like camp sites, chemical toilet facilities and motorhome service spots. All rated and verified by some of Europe's top camping and caravanning organisations, such as ACSI, The Caravan Club, The Camping and Caravanning Club and Bord Atlas. 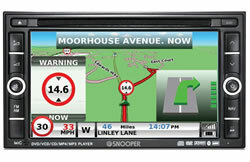 You can buy caravan and motorhome sat navs from Garmin, TomTom and Snooper. The latest Garmin Camper 780 is the latest camper system from Garmin offering an optional BC 40 reversing camera to see the view behind your caravan or camper on the sat nav screen. 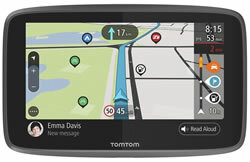 Another new GPS is the TomTom GO Camper which includes Active Magnetic Mount which makes mouting and dismounting very easy and quick. 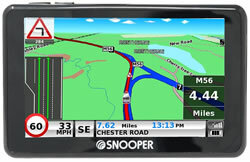 Finally, the Snooper S8110 Ventura features a TV, while the Snooper SC5900 Ventura features a built-in dash cam, other Snooper models are also available. 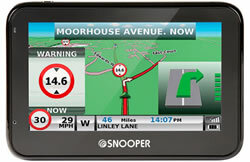 Snooper and Garmin use the same mapping but present the information differently whereas TomTom use TeleAtlas mapping. 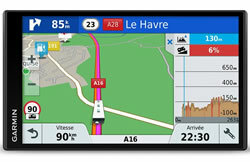 The latest sat navs (Garmin and TomTom) also offer WiFi updating of the maps and software eliminating the need for a computer to make updates. 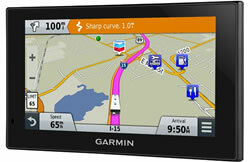 Garmin, TomTom and Snooper sat nav models available from ActiveGPS are all preloaded with UK and European maps. They also have all a car navigation mode, so if you switch from towing a caravan or driving a motorhome to driving a car you can take these sat navs with you. Question: If towing a caravan do you have to put the length width and weight of both caravan and car into the sat nav to get the best route? Answer: Yes, when using a motorhome or caravan sat nav you simply enter in your overall vehicles height, length, width etc and the sat nav will then calculate the best route based on the size of your entire vehicle, including caravan, trailer etc.